Avineo is frequently sharing insights at a variety of events. We are contributing with experience and thought leadership as well as we are seeking to learn from others. Find past and future events below. Avineo is also providing trainings, both public and in-house courses. NEW! 2019 SCOR-P training dates are out now. Find our training and workshop schedule here. Please scroll down to leave a message for further information. 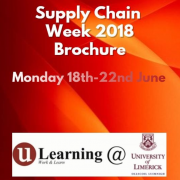 This programme by ULearning@ University of Limerick (UoL) provided a unique opportunity to take a step back from day-to-day demands and reflect on your supply chain performance. Delivering the latest thinking to help you innovate your supply chain, the programme enabled for developing your supply chain leadership skills and strategic capabilities. 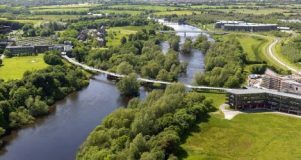 These UoL events have previously been attended by companies such as Dell, Infineon, Ledvance and many other world-leading examples of supply chain excellence, and this Supply Chain Management event helped applying breakthrough innovations to your operations. 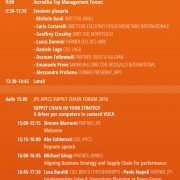 Since 2014 Michael Ginap is contributing to the UoL body of knowledge with a 2-days course on “Supply Chain Design and SCOR”. This year, Michael ran an additional 1/2-day workshop on “Blockchain for Supply Chains”. Here is the link to the UoL website. 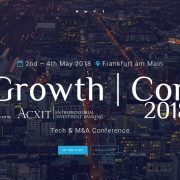 GrowthCon is a Tech & M&A Conference and this year’s event offered a deep dive into very relevant topics of today’s tech business and entrepreneurial challenges. Many well known experts e.g. in the field of AI, Blockchain, and Cybersecurity discussed the hottest trends and gave a picture of newest developments. 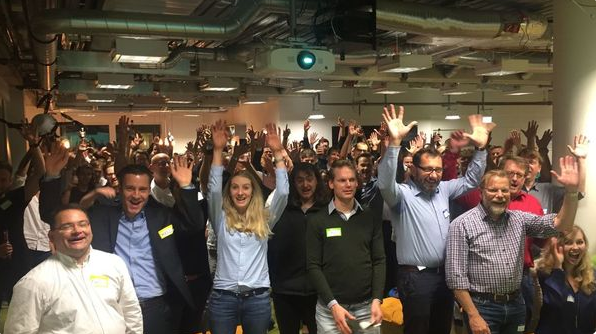 More than 500 tech savvy founders, digital leaders, investors and corporates were networking – an inspiring crowd. Michael Ginap attended on May 3, the main conference day. Contact him for more information. 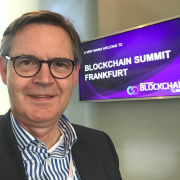 Blockchain Summit Frankfurt was a 1-day conference and exhibition connecting over 700 industry leaders, business decision makers, tech innovators and investors – all about Blockchain, only about Blockchain. The largest dedicated Blockchain Event in Europe. No co-located side events and a purely Blockchain focused audience. At Kap Europa, a conference hot spot in Frankfurt/Main. Michael Ginap participated and experienced cutting-edge case studies offering a “how-to” approach for deploying Blockchain technologies across industries. Next to finance, insurance, media and entertainment, also logistics and utilities were discussed. Want to learn more? 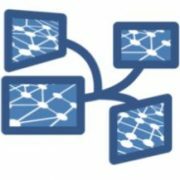 Discuss Blockchain for Supply Chains? Leave a comment below or join us in our Blockchain Workshop in Frankfurt on June 7, 2018 (in German)! Leave a comment below if you want to know more and/or be informed about similar future events. Members of the German Electrical and Electronic Manufacturers’ Association (ZVEI) discussed the development status of subjects like Semantic Web and Ontology Engineering. Blockchain technology and potential use cases in real supply chains were evaluated at high level as well. Michael Ginap is a standing guest member of the ZVEI Working Group SCM since 2013 and co-authored the Guideline Supply Chain Management in Electronics Manufacturing, published 2014. He participated in the subject matter discussion. Check “BC4SC“. A room packed with more than 100 people at this Meetup. The focus was on the impact of Blockchain on business models and politics. Speakers include Joachim Lohkamp (Jolocom) who talked about the ongoing work of Bundesblock (Blockchain Association Germany) and the connection points to politics and industry. Oliver Naegele (also Bundesblock) and team showed what it means getting serious by showcasing Digital Identities on the Blockchain with their demo version “HELIX ALPHA”. Michael Ginap attended this event at the FinTech HQ (Frankfurt/Main) to call for interest for our new endeavour “BC4SC” – Blockchain for Supply Chains. Agile methods promise to ensure a quick project ramp-up and flexibility in project management; Outside-In thinking and collaboration are key. Design Thinking is a systematic way to handle complex problems and both methods seem to offer great synergies. Exploring the challenges and opportunities from combining both approaches in practice was the main subject of this information day. Michael Ginap attended this event at the SCHENK TECHNOLOGIE- und INDUSTRIEPARK in Darmstadt (near Frankfurt/Main). It’s been an interesting evening and a lively discussion at IBM. 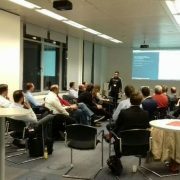 A walk through of the Watson Data Platform kicked-off the Meetup. Did you know you can actually try Watson for free? The evening also included a review of real time analytics at the Roskilde Festival about movement of crowds and real time data for best attendee experience. We also followed a demo and discussed building a chat bot using Watson. Thanks to the IBM folks for their hospitality! Please leave a comment in case of questions. Minister of State Hessen, Mr. Tarek Al-Wazir (Economy, Energy, Traffic, and Development – HMWEVL) was present for the opening ceremony at the House of Logistics and Mobility (HOLM) at Frankfurt Airport. The first three start-ups were welcomed as winners of the application procedure. A brief presentation of each start-up was followed by discussion and a get-together for further information on products and innovations around logistics, mobility and aviation. As member of HOLM, Michael Ginap joined and enjoyed the evening and the impressive start-up presentations. If you want to learn more, please leave a comment below (at end of this page). Links to German Website of HOLM. 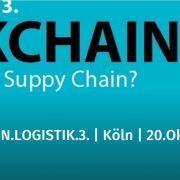 Experts discussed and networked at the Vision.Logistik.3 around Blockchain and Logistics. 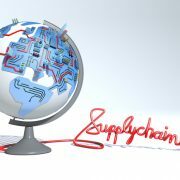 Great insight into opportunities of this emerging technology for the future of supply chains. 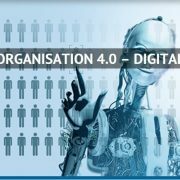 Industry 4.0 – how will the future of work look like? 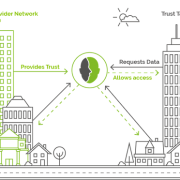 What opportunities will the digital transformation offer for our working environment? A half day event organized by Ingenics AG addressed these essential questions with expert key notes and time for discussion. For the seventh time this study of Miebach / DVZ revealed the trends in outsourcing of logistics services. The report addressed challenges from tendering to implementation, regional differences, and insourcing movements as well. Over 500 companies, shippers and service providers were surveyed. 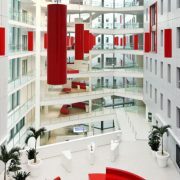 A venue well picked: the House of Logistics and Mobility (HOLM) at Frankfurt airport. 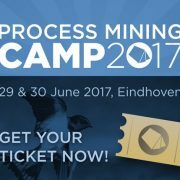 Information-packed practice talks with a community of Process Mining experts and starters alike, following case studies of e.g. Dutch Railway (Nederlandse Spoorwegen), metal manufacturer Veco, and Essent. Michael Ginap dove into process mining for two days and participated in a workshop that aimed at understanding “what process miner am I?”. Event organizer Clarion brought together some 250+ people at the Hotel Rey Juan Carlos I convention centre. Avineo Founder & Owner Michael Ginap talked about “From Strategy to Action – how to become more effective in managing your Supply Chains”. He also participated in think tanks and roundtable discussions. Next, Michael was on a panel discussing “The secret to supply chain success: achieving agility & flexibility in a volatile global marketplace”. 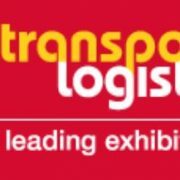 Michael Ginap facilitated this roundtable discussion alongside the transport logistic exhibition 2017. This event was by invitation only and hosted by PENSKE Logistics. A core group of automotive and other industry aftermarket experts shared their view on challenges for spare part supply in Europe. On a beautiful day over 60 Supply Chain Managers came to this event hosted by PwC in Ireland. Michael Ginap joined in after speaking about “SCOR in Europe – yesterday and today” at the APICS SCC Corporate Advisory Board meeting the day before. More than 20 practitioners, academics and software vendors met at this ‘invitation only’ informal gathering hosted by APICS Supply Chain Council affiliate Nokia. 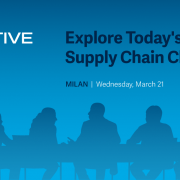 Michael Ginap joined in to discuss aspects of supply chain transformation.